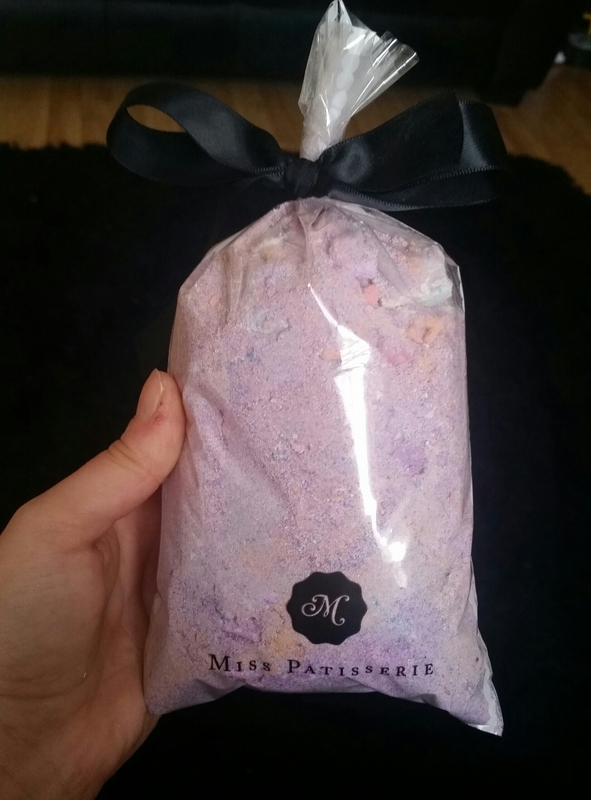 Miss Patisserie is a UK based company that sells an online range of goodies for the bath and body. As their products looked so wonderful, I knew I had to treat myself. The company is against animal testing and they also sell some vegan products. So here’s what I got! 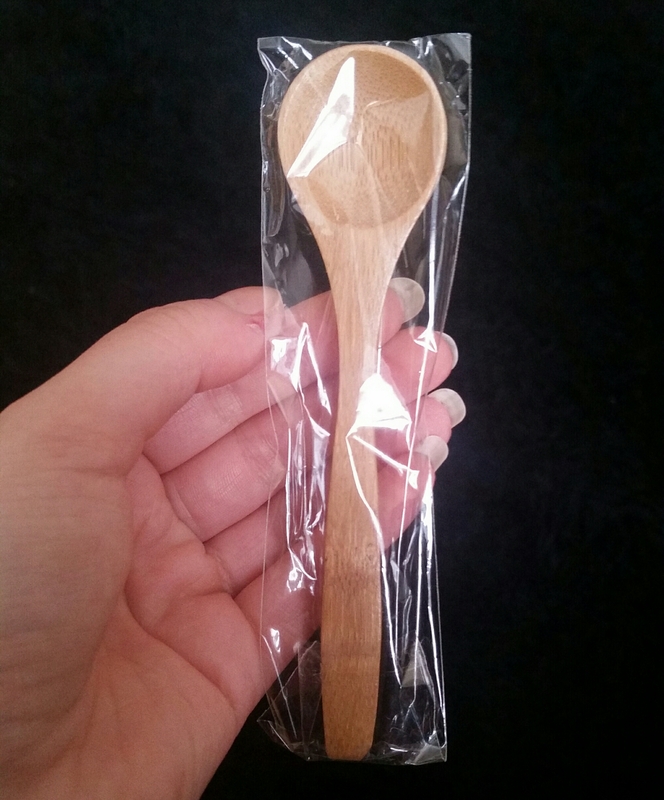 So firstly I bought the Bath Crumble and a mini bamboo spoon to scoop the mixture into my bath. The bag of Bath Crumble is definitely smaller than it appears online, but I can say it really does contain a tonne of product! The Crumble is a mixture of multi coloured crushed bath bombs, some in powder form and some in large lumps. The colours create a nice rainbow effect in the bath and lightly fizz as they melt away. Disappointly the Bath Crumble left behind no bubbles, a murky orange colour and a not so great scent in my bath. There’s too many different fragrances, as I found the smell masculine, sweet and sickly all at once. I’m not sure if I’ll use up the whole bag of product due to the scent, and the fact that it added nothing to bath time. My first impression of this Bath Melt was wow! It’s incredibly pretty and is packaged beautifully, which would make this a great gift for someone. I chose the scent Vanilla Cream which had a subtle, pleasant fragrance. Miss Patisserie states that you can use this Bath Melt several times and I agree. It’s a very solid, slow melting product. It lightly scented my bath, and when they described it as a moisturising product, they weren’t lying! The Bath Melt contains shea and cocoa butters, and I could see the oils floating on top of the water. My skin felt intensely hydrated and gloriously smooth after using the Bath Melt, so I really rate this product. 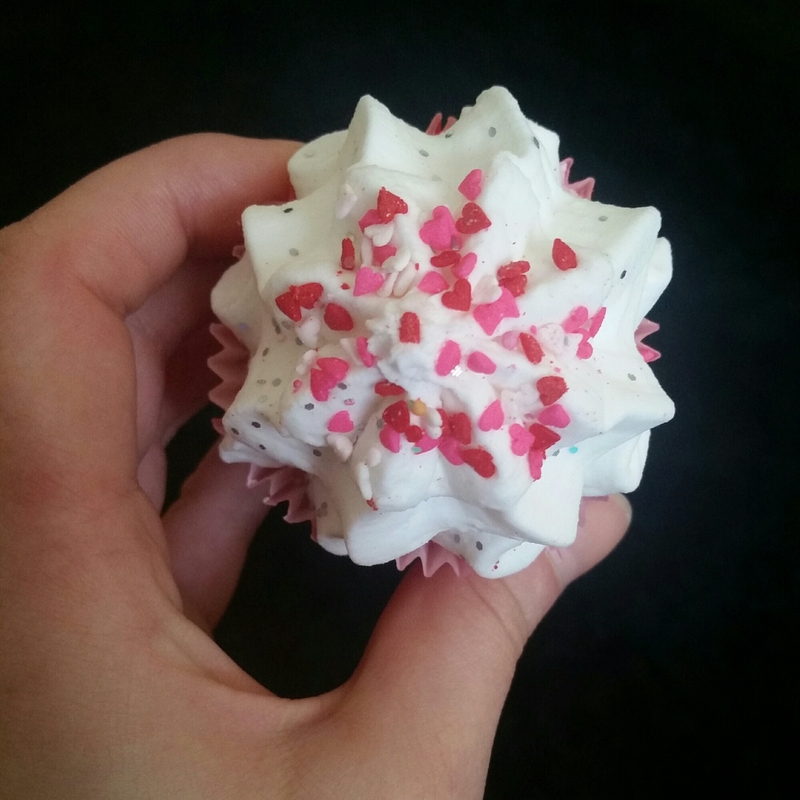 The third and final bath item is the Pomegranate Bath Bake. This is a two in one product, that’s a bath bomb and a scrub. I popped the whole thing into my bath and watched as the bottom half melted away, and the scrub part floated to the top of the water. 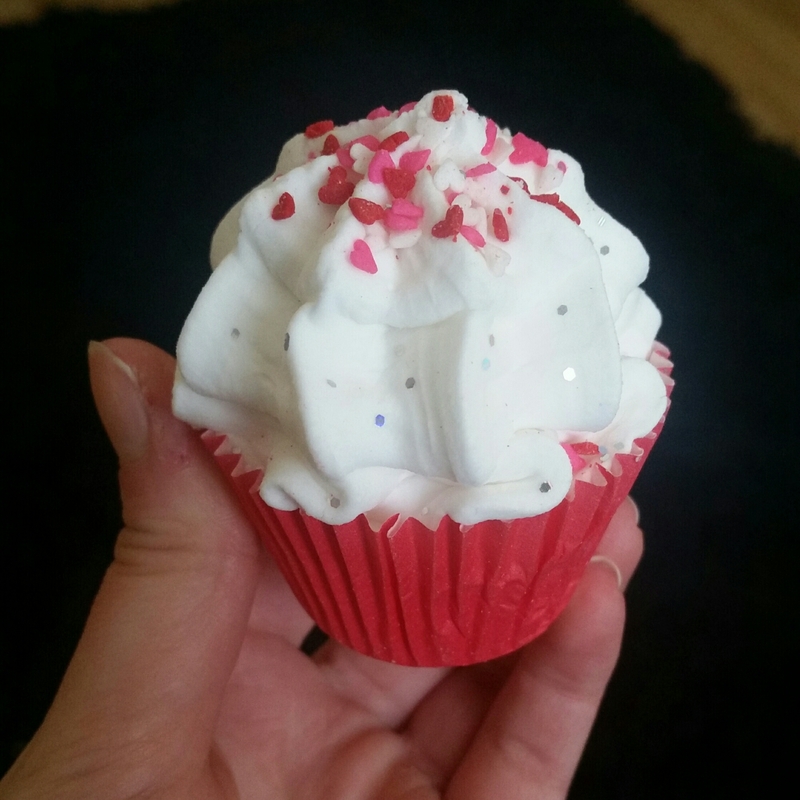 I’d say this Bath Bake has a very slight vanilla fragrance but no pomegranate smell at all. The bath bomb part of this added no colour and almost no scent to my bath. It had a small amount of oils to hydrate skin, but this was nowhere near as good as the Bath Melt. 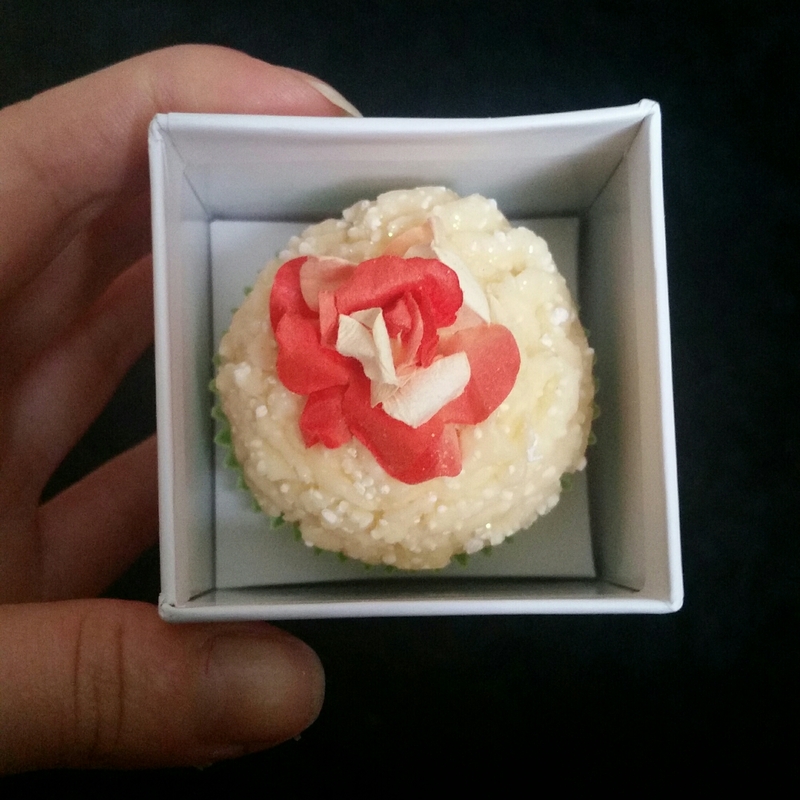 The scrub part of this Bath Bake was like a dry, crumbly meringue, that shouldn’t be described as a scrub at all. A disappointing product. 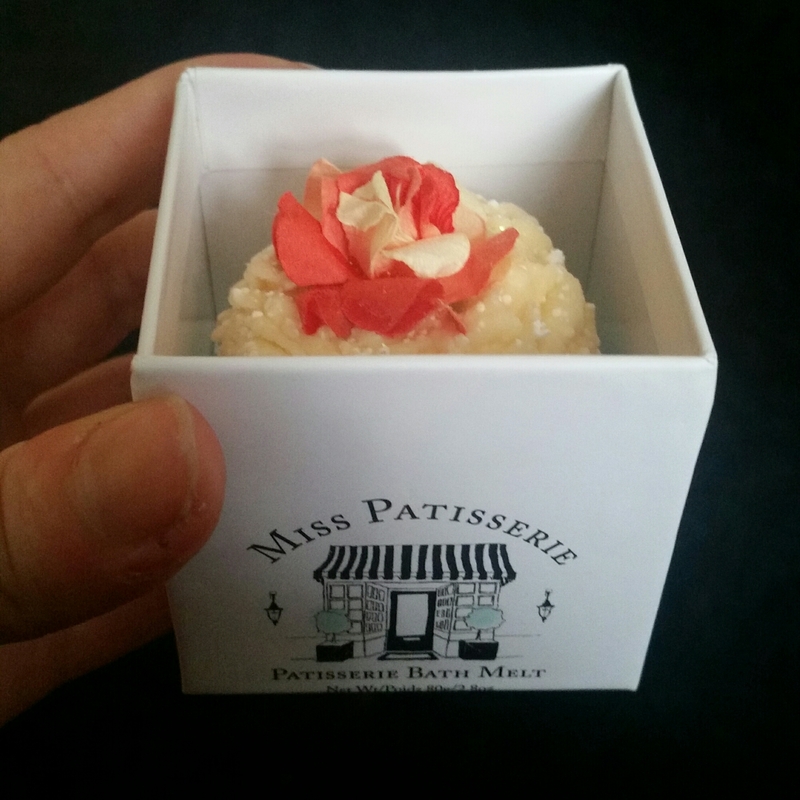 So overall I haven’t really been impressed by Miss Patisserie’s products, however, I did really love the Bath Melt. 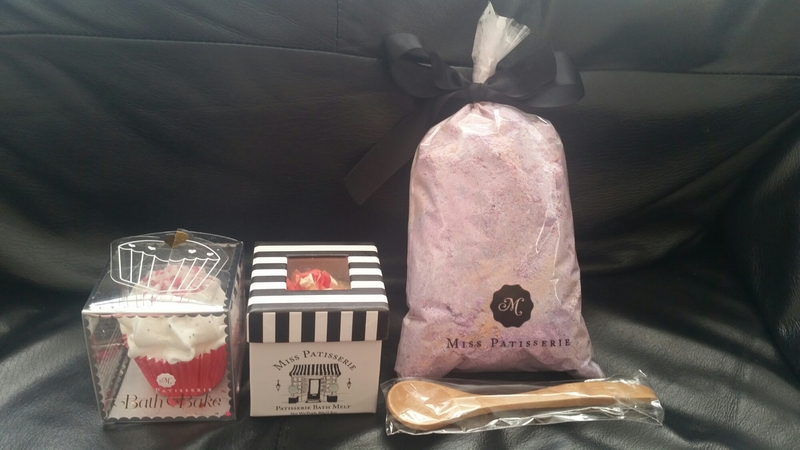 Let me know if you’ve tried any bath bits from Miss Patisserie. So cute! Too pretty to use!